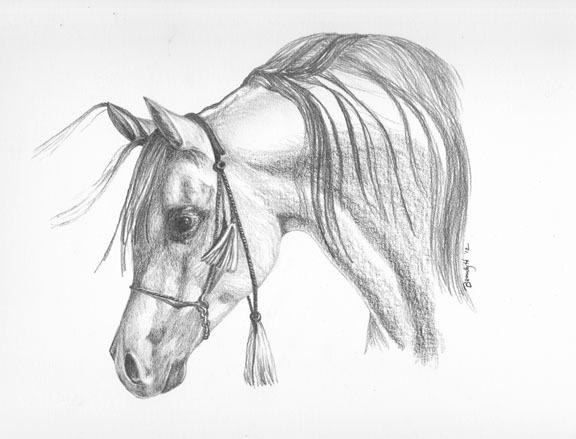 Pencil Portrait Drawing of an Arabian Horse. It’s nice to know I haven’t lost my touch for drawing horses. The plan is to do many more of different breeds and ages. The original is about 11 x 14 and is available for $80.